Last week, in my web wanderings, I bumped into a couple of articles on the latest activities of pop chanteuse, Mariah Carey. According to these sources, Carey drank champagne on-stage while performing in Singapore last week. Carey has a history of denying pregnancy rumours and responding to the press regarding weight gain. 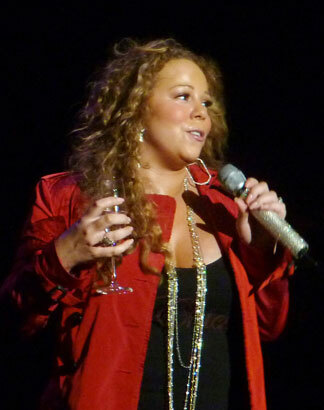 Apparently, drinking champagne on-stage was another way for Carey to dispel rumours about being pregnant. Perhaps this is another twist on the social acceptability of drinking alcohol during pregnancy. Of course, if it does turn out that Mariah Carey is indeed pregnant, I’m sure this will lead to a different kind of conversation, e.g., her suitability as a role model, whether drinking moderately during pregnancy is okay, etc., etc.